IN STOCK WITH FREE NEXT DAY SHIPPING! In stock with Free Overnight Shipping in the USA. Transcend AUTO is durable and strong but it weighs less than a pound so it'll never weigh you down. It's small too, about the size of a soda can, so it fits in the palm of your hand. Transcend AUTO looks great and won't overcrowd your bed stand, and it can be easily stowed away in a carry on bag for travel! Transcend AUTO delivers a more natural breathing experience with EZEX Pressure Relief. EZEX decreases therapy pressure at the end of each breath, reducing the amount of resistance experienced during exhalation to improve overall therapy comfort. There are four EZEX settings -- OFF, 1, 2 and 3 -- that progressively increase the amount of exhalation pressure relief from none to a maximum of approximately 3CM. The Transcend AUTO Sleep Apnea Starter system comes complete with a Universal Hose Adapter and a standard 6-foot CPAP hose so it can be used with any mask on the market. So, choose your favorite mask, don't worry it IS compatible! Unique air bearing blower technology eliminates heat and friction in the Transcend AUTO so it can deliver vibration-free therapy at a quiet 26.6 dB sound level. If you want to track therapy compliance -- for yourself, for your job, or for your doctor -- the Transcend AUTO will help you do it. 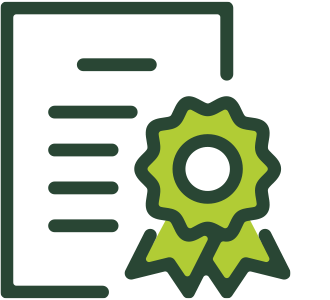 Transcend AUTO records, stores, and reports on up to 13 months of therapy compliance data -- including total therapy hours, therapy sessions, total blower hours, AHI and leak detection. The included Transcend Software (for Windows PCs) lets you email compliance data directly to your healthcare provider. Transcend AUTO is ready to use anywhere with automatic altitude adjustment to 8,000 feet above sea level. When traveling outside the US the Transcend will convert the voltage automatically so you can continue receiving safe and comfortable therapy. Make sure you download the FAA Compliance Letter and the Transcend in the Himalayas video in the References section of this page. PROTECTION PLAN & EXTENDED WARRANTY AVAILABLE! Upgrade your Transcend with the 5-Year Protection Plan, at the time of purchase, and your MiniCPAP and it's AC Power Cord will be covered for any accidental damage, wear and tear, or breakage for five years. In addition the Protection Plan extends the standard 3-Year Manufacturer's Warranty to an amazing 5-Years! 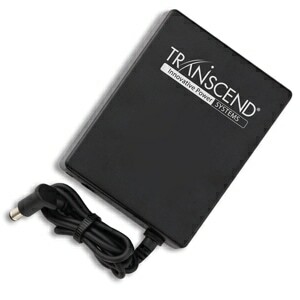 The Transcend Protection Plan is available for $99.00 as an optional add-on in your shopping cart. For the first time you have small, portable, and lightweight options for sleeping while youre on the road, in a plane, under the stars, in your boat or RV, in a remote cabin, or for weathering a power outage at home. The optional Transcend Mobile Power Adapter will power the Transcend AUTO (or recharge a Transcend Battery Pack) from the "cigarette" style DC Power Outlets found in most vehicles. Optional Lithium Ion Transcend Batteries are lightweight and capable providing a full -- or multiple -- night's sleep anywhere you choose. The P4 Overnight Battery weighs just over half a pound; and the P8 Multi-night Battery tips the scales at 1.1 pounds so they won't weigh you down! The Transcend Battery Pack CAN also be attached as a backup power supply, in series with the Universal AC Power Adapter, so your CPAP will work flawlessly throughout the night, even during power outages! For added comfort the Transcend is available with an Integrated Heated Humidifier! 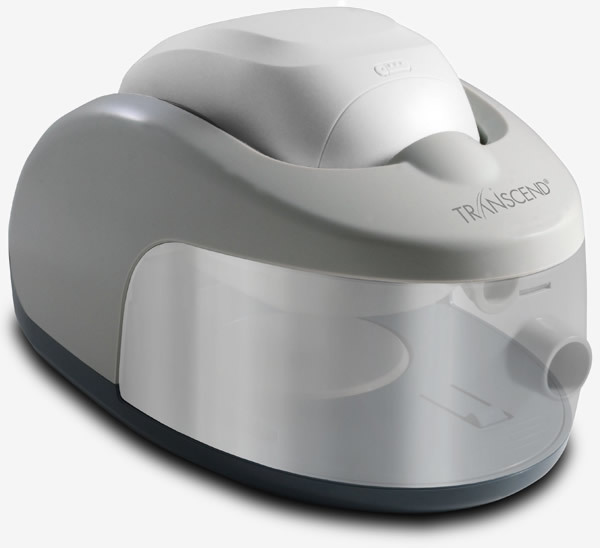 The streamlined design of the Transcend Heated Humidifier conserves space by cradling the CPAP machine in the center of the humidifier and chamber. Heater settings from 0 (off) to 5 (highest) are easy to manage with a simple dial; and the water chamber holds a generous 325 mL of water. The Heated Humidifier includes a universal power supply and is powered by a slimline power cord separate from the Transcend CPAP device. The Transcend Heated Humidifier cannot be powered with a Transcend Batter Pack or DC Power Cord. When I turn on my Transcend the therapy air comes out very strongly; it keeps getting stronger for about 15 seconds and then the machine just shuts off. What am I doing wrong? It sounds like you do not have the Universal Hose Adapter properly installed on your unit. For proper operation the Universal Hose Adapter MUST ALWAYS be in place on the Transcend CPAP machine when Standard or Performance CPAP Tubing is used without the heated humidifier. I just received my new Transcend and it smells a bit "hot" like it's burning when I turn it on. Is there something wrong? 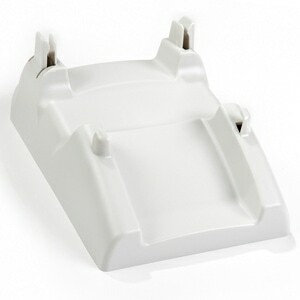 In rare instances the Transcend CPAP may give off a mechanical or "hot" smell when it is first run. This is a remnant of the manufacturing process and should go away once the machine has been run for a few hours. 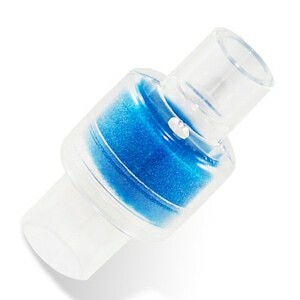 How much pressure relief does EZEX give during exhalation? Each of the four EZEX settings -- OFF, 1, 2, 3 -- corresponds to the equivalent CM pressure drop during exhalation: OFF (no relief), 1 (1CM relief), 2 (2CM relief), 3 (3CM relief). For example, if your machine is set to deliver pressure at 12CM and EZEX is set at 3 the pressure will decrease to approximately 9CM on each exhalation. In the Package Transcend AUTO CPAP System with EZEX, Universal Hose Adapter, Standard 6-Foot CPAP Hose, Universal AC Power Supply, International Travel Plug Adapters, Reusable Filter, Travel Bag, Printed Quick Guide, USB 2.0 Type A Male to Mini B Male Cable, 3-Year Manufacturers Warranty. Additional options including battery packs, DC power, heated humidifier, and extended warranty options available in shopping cart. Each Transcend AUTO CPAP includes an FAA Approved label on the base of the machine for easy identification. This product is approved by the FAA for use on all commercial flights within the US and all international flights that depart or arrive in the US. Click here for TSA / FAA information on traveling with sleep and oxygen therapy. Always contact your airline prior to your flight to confirm any requirements they may have (i.e. a copy of your prescription or a letter of medical necessity) for allowing your device on board. Tubing The Transcend AUTO includes a Universal Hose Adapter that is compatible with all Standard and Performance CPAP Tubing. For proper operation the Universal Hose Adapter MUST ALWAYS be in place when Standard or Performance CPAP Tubing is used with the Transcend AUTO CPAP Machine. DC (Mobile) Power Optional Mobile DC Power - Sleep in your truck, your boat, your camper, at home and away from home. It's easy with Transcend. Transcend can be powered by an optional mobile power adapter that plugs into a standard DC power supply without fear of draining your vehicle's battery. Optional Battery Pack - Sleeping under the stars or on a plane? 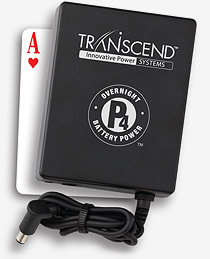 Transcend delivers your therapy if there's no power, if the power goes out, or if you just don't want to plug it in. The Overnight and Multi-Night Battery Packs are lightweight and will give you one (or several) night's sleep between charges. Battery packs are rechargeable with AC or DC power. Compact, lightweight CPAP. 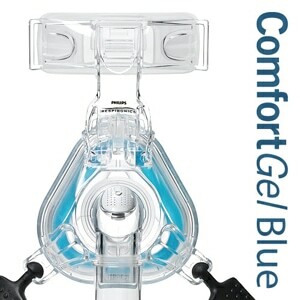 I travel a lot for business and find this CPAP easy to carry and reliable for my therapy. I had heard about the extra noise for a small machine. When I first turned it on, I was worried too. However once I used it and it got used to my breathing pattern (first night) no issues while mask is one. Works great. Love the drying feature for after a night of sleep. I would recommend. This is my second travel sized CPAP machine. My first was a disappointment, an early iteration without a flex response. It functioned and was small enough to be convenient, but was never really comfortable and the noise was hard to adjust to. This model is very comfortable. I tested it with the optional humidifier for the first few nights and it performed very well. Surprisingly quiet. I tried it another few nights with the inline moisture catching attachment, which makes the unit so much more convenient and travel friendly, and it was fine as well. I would prefer an automatic shutoff but I do appreciate that letting it maintain air flow for a few minutes clears tubing and mask of moisture. Overall I am very happy with this and confident it will work well for travel. Received cpap in less that 2 days after order. Initially I had some persistent error message (flashing yellow light) which caused me no current problem but wasn't sure if something was lurking in the background. On reporting the problem DHM immediately sent me replacement which so far has not experienced problem. I would echo some other reviewers which say the buttons to turn on, etc. are somewhat difficult to find at night and also the unit does need some sort of nonslip legs as it can slide of end table easily. Otherwise, so far so good; have only been using it for 5 nights now. Machine is very small and quite BUT the noise from the mask kept waking me up . Tried it for 6 days and returned it. I'm thrilled with the size and portability of this! Its so nice to have a battery pack and DC charging capability for camping and boating. The charged battery keeps the device going all night long. It's a little loud as a stand alone unit but I would expect that in such a small device and the noise is like a white noise machine so didn't disrupt my husband. I also got the humidifier to keep at our weekend home and it cuts down on the noise dramatically. I really like this little CPAP, which I think of as a hedgehog. It is cute and generally efficient1 But I have a couple of complaints. The buttons are hard to find (especially if you are fumbling in the dark)! As for fumbling in the dark, if you dislodge the mask, the CPAP shuts down very quickly. More lag time would be useful (else you are fumbling in the dark to find those obscure buttons!). The unit is nicely small, but entirely unstable. It would be nice if it had some feet on the bottom that actually gripped a surface. Since it doesn't, the unit slips and slides, and sometimes just crashes to the floor (thus displacing the tube or the mask, etc. etc.) So I love the little critter, but it creates its own problems! UNIT IS VERY NOISEY, HEATED CHAMBER WORKES POORLY. I PREHEATED FOR AN HOUR AS PER INSTRUCTIONS, AIR WAS COLD. I have been using Respironics CPap machines for 14 years with nasal pillows. I had heard radio advertisements about the Transcend and then spent many hours researching which travel machine I would purchase. This was not covered by my insurance. I finally decided to go with the Transcend. It was delivered quickly and I tried it out yesterday since I will be going out of town next week. It was as quiet as my regular machine and I slept extremely well. 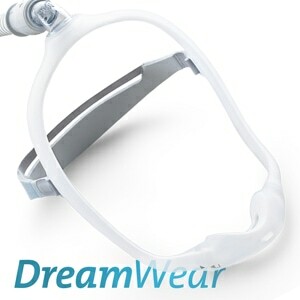 I had also purchased the Dreamwear mask and I love it. So much more comfortable than the nasal pillows, Just found out my insurance will cover a Dreamwear mask when I am eligible to get a new one in December. So now I am all set for easier traveling. Much quieter than the Z1Auto, however the TRANSCEND AUTO MINICPAP is missing the excellent controls found on the Z1. The TRANSCEND has a small footprint and perfect for travel however it is not stable and could easily slide off your night stand. I wish the travel case had a more subdued Lo-Go and I would not have bought the TRANSCEND if the Z1 was quiet. I'm able to get right to sleep with the quiet dependable TRANSCEND. I travel a lot and my big CPAP was giving my shoulder fits carrying it through airports. My little travel cpap actually fits into my roll aboard carry-on! Takes up about the same room as a pair of shoes. The Transcend Auto is very nice compared to older machines. But it slips off the table as there are no feet on it. The Z1 is worth the extra money, especially if you travel and go through airports. P8 Battery lacks. Transcend is very good. Took my Transend to Peru. Perfect CPAP solution. Only problem has been with my P8 Multiday Battery only lasts 6 hours. Wakes me up n the middle of the night and cannot be depended on alone. Had to rig a deep cell battery in case we lose power at home. Bought battery through Direct Home Medical and should have gone through the hassle of sending it back. Excellent. Sleep so much better! Small unit. Very easy to travel with. Passed TSA checkpoint without it issue. This little unit is so much better than my home unit that I stopped using my home unit and am seeking a replacement (upgrade). It is a little loud at first but calms down soon. Not an issue to me at all. I suggest the water tank if you don't like dry air because the unit blows very dry air. It's great. Getting through airport security and using it at the hotel was perfect. It's not heavy and it's compact which is a plus when traveling. I would recommend it to anyone who travels and needs a CPAP. Should Have Tried it Sooner! I've been using big home machine for several years but got tired of the bulk so I thought I'd try this for travel only. Well I used it on a recent trip to St Louis and it was brilliant. I used for 2 nights in the hotel and couldn't have slept better. Then I used it for an evening flight home. I don't usually sleep on planes because it's so uncomfortable, but with my CPAP it wasn't bad at all. Great little machine. It wasn't noisy at all with my ComfortGel mask. Yes, it's small, but if you need a humidifier -- as I do in Nevada and most users do in the desert Southwest -- the humidifier is big and needs a separate power supply, which defeats the small size of the Transend unit. I regret my purchase of this item. Like the size hate the noise. You need a specific mask(s) for this machine to no have noise which is extremely loud. Product was not user friendly and it was noisy. Have used cpap for years but took over an hr to fall asleep to to noise level and whistle with expiration. I can not get this unit to feel comfortable when exhaling. It is almost difficult. It certainly will not allow me to comfortably sleep' I tried 2 nights ago and was up for 30 minutes and failed to fall asleep. My other CPAP machine allows me to fall asleep in 5 minutes or less. Light, easy to pack and take on trips. Very easy to set up. No auto start like my home machine, but you quickly adapt. Really nice not to have to break down and pack my home machine for a trip. The Transcend is always ready to go. Just a little trouble keeping plugged in with that big interchangeable plug. First time using the auto CPAP was an eye-opener, the auto-titration feature is a must. Having used a CPAP for 13 years this is the smallest and lightest I have seen, can be used daily or travel. With DirectHome Medical's affordable price and quick service this is an excellent value. Machine works great, easy to carry. Some have complained about the noise. The noise is the air flowing into the mask, not the machine itself. this is only a problem if the ramp function is not set up correctly. It is everything I wanted in a easy to carry travel machine. I like that it comes with international plugs since i travel abroad. I purchased this for travel use. It is small, but actually not a whole lot smaller than my MesRes S9 unit without the humidifier. I use it with the HME in-line "dry" humidifier, and it works great- although I don't know if the HME really helps that much (I'm pretty much a newbie). Overall, I would recommend this product. Excellent customer service, by the way. Read the directions (thankfully few are needed), set it up with my existing hoses & Mask. When I first turned it on it was quite loud, but not as loud as a dusbuster. That noise went away, though, as soon as I put my mask on. It tool me a little bit to adjust to it's pressure rhythm, but then I was off to a sound sleep. Note: With Humidifier two electric cords are required. Cpap unit is small and quiet. Humidifier is clunky, loud, hard to refill and clean. 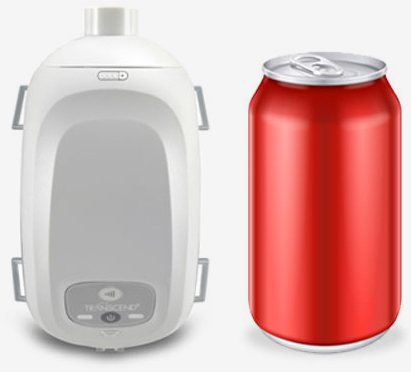 The size of the humidifier negates the small size of the unit for traveling. If you don't need a humidifier, this unit is a great travel option. I am delighted with the very small size, simplicity and low weight of this machine. Its features make it extraordinarily easy to trace with it, and to use it off the grid (I camp a lot in the boondocks). All in all, a great compromise that does not compromise on quality and usefulness at all. Great unit, nice small footprint. Really quiet. Battery backup is a nice option to have. I bought the Transcend AUTO recently before my trip to Ecuador, mainly because of it's small size. I also bought the 3 day battery because they have frequent power outages. The CPAP worked great, and is very quiet. I used the battery the last night and it also worked fine. It would be perfect on an overnight flight. The only downside is the controls are tiny and there are no lights on the machine, so they are hard to find in the dark. Also, when I returned to the dry air in New England, I had to add the humidifier which is 3 times the size of the CPAP. So the next time I travel, I will need to put the humidifier in my checked bag since it is so large. I did not have any trouble getting it through airport security. I didn't even need to remove it from my bag. They include all the electrical converter plugs for different parts of the world, which is helpful. I used the Transcend Auto CPAP Machine on my recent trip to Europe. It was excellent! A must have for air travel. The battery was excellent. I'm very satisfied!